There is a normal tendency of inertia for change and accepting something new in life. In one’s own internal life a spiritual power is needed to accept oneself and give way to change. In this context, Reiki is a powerful and proven tool for upliftment of the total quality of life and well being. Reiki is a Japanese word which means" universal life force energy"
Reiki is channelised to a person by a competent Reiki Master through a special process called "ATTUNEMENT" Attunement is a spiritual experience where a deep relaxation is felt, increased healing energy is released and toxins are expelled from the system. 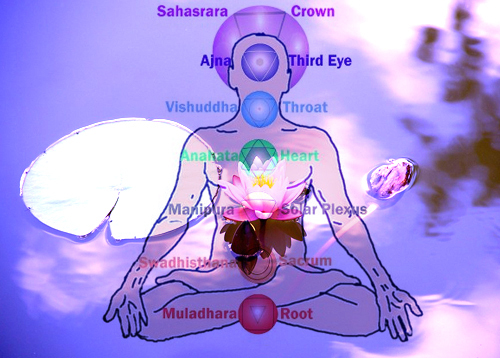 Reiki energy travels through "Chakras" (Energy Wheels) which are the main centers of our energy body. Due to the depletion and congestion of the energy body, the movement of chakras are affected and thereby the endocrine system is affected which results in disharmonious hormonal secretions which is eventually expressed as a disease in the physical level. A Pathologist can cure a disease in the physical system but the root cause of the disease remains in the energy level. Reiki corrects this abnormality in the energy level and the root cause of the disease is removed from the system. After becoming a Reiki channel, by simply placing the vibrant hands on the diseased portion or the chakra area, one can heal oneself. Reiki invokes the healer in you and you can heal yourself & others. From time immemorial, Meditative state is the same whether a man meditated in the ancient jungle or today's man meditating in the a/c room of a crowded city, the experience is the same. 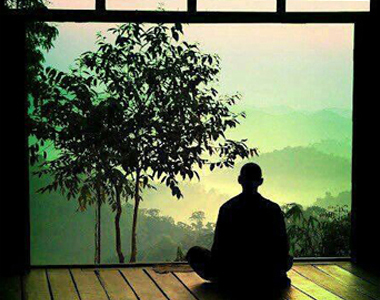 Meditation simply means coming to the present moment, coming to the hear and now. Different techniques are are advised by different masters to give the mind a conducive climate to settle down. We are using techniques from a wide range of sources. From ancient Tantric/Yogic methods to the latest Osho meditation techniques. When you reach out into a state where you can watch all your inner movements of thoughts and feel the inner silent core who is the witness – you are on the right track. Then the technique is no longer important. The great Master OSHO has devised and designed more than 100 techniques to unburden our minds from past programmings and conditionings. For modern minds, lots and lots of catharsis is needed. Osho techniques are very effective in undoing pent up emotions and a very energetic and positive life style.Our meditation trainings help you to maintain balance between the material and spiritual both flourishing hand in hand, the meeting point of Zorba and Buddha, the west and the east, the physical and metaphysical. Life is full of challenges and opportunities. We face professional challenges, personal problems, family problems, social issues and health problems. Spiritual Intelligence means – the capacity to face these challenges and overcome them positively resulting in total growth and a better state of consciousness. Spiritual Intelligence is a perspective. A perspective in which challenges get dissolved rather than solved. Spiritual intelligence is acquired by a person not by knowledge but by knowing. Knowing means awareness. It is a quality of the heart. A heart which feels and responds with clarity and accuracy. The entire spiritual literature of the world is aimed to achieve this kind of quality of the heart. In order to achieve this state of being, old ways of thinking, believing, our conditionings, our brain programming – all have to be wiped out .